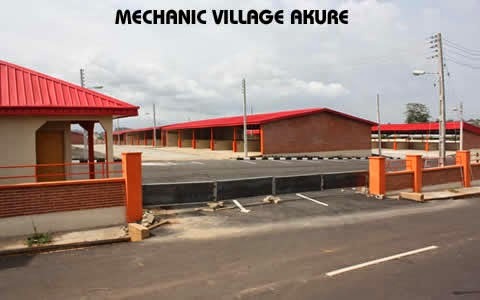 Ondo State Governor, Arakunrin Oluwarotimi Akeredolu (SAN), has assured members of the Nigeria Automobile Technicians Association (NATA) in Ondo East and West Local Governments that his administration would construct a Mechanic Village. Akeredolu made this known during a meeting with members of the association held at the Oba Adesanoye Civic Centre, Ondo City, yesterday. He appealed to them to be prepared to relocate to the Village to ensure that government’s efforts and investment will not amount to a waste after its completion. Akeredolu who commended them for their impressive turnout also urged the Automobile Technicians to go for further training in order to improve competency at their job. He explained the importance of training and urged them to be ready to go for it for the acquisition of more skills. The governor advised them to join cooperatives in order to be able to access funds from micro credit agency of the state government. He further urged them to vote massively for candidates of the All Progressives Congress (APC) at the forthcoming general elections in order to return President Muhammadu Buhari. The Governor also admonished the artisans who trooped out in their thousands, to join cooperative societies which will enable them to easily access government loans through the state Micro-Credit Agency to boost their wives’ trades. Earlier, State Chairman of NATA, Comrade Babatunde Shobande assured Governor Akeredolu and all APC candidates of the association’s total support during the forthcoming general election. While promising that their support for the Akeredolu-led administration would not diminish, he appealed for a Mechanic Village for members of the association in Ondo East and West Local Governments who are forced out of their workshops by land owners. Also, member representing Ondo Central Senatorial District at the National Assembly, Sen Tayo Alasoadura appreciated the NATA members for closing up their workshops to honour them. The lawmaker however urged the technicians to troop out enmasse and vote for all candidates of APC and also to ensure that President Muhammadu Buhari is re-elected.